Building custom audio and video automation projects is a major challenge for the integrator. Learn in this post how to make them much more attractive! Audio and video automation is one of the main services recommended by system integrators. The control of home appliances through smartphones is always highlighted by the vendor of automation as synonymous with comfort and practicality. So much so, that, according to Statista, the smart home entertainment market represent 56% of the home automation market volume. Currently, the development of smart homes has become much easier with the evolution of automation devices. Mainly, with the incorporation of Infrared (IR) remote control and the development of multiple interfaces. This include systems with an ever-increasing data performance and device management capabilities that are much more efficient. However, audio and video automation is a challenge to integrators, as technology is always evolving. With this, the need to create highly customizable automated homes, far beyond home theater design, is required. How do we leave the installation of the automation services with the “design” of the user and avoid future complaints about the project? The use of infrared (IR) devices is paramount to reducing project cost. Installation of the home theater project and other equipment is done through micromodules and wired emitters. Denoted as “eyes” these small LEDs are connected to the devices in general, from signal transmission to automation switches. Blaster emitters: with high frequency, they command multiple apparatuses. Low power emitters: allow single control of an equipment. The entire operation of audio and video automation remains centralized thanks to microcontrollers or modules. These devices are responsible for storing the codes of each equipment and integrating them into one central unit. All commands will be handled by the automation application, available on mobile. So, say goodbye to the need for multiple remotes! The installation becomes even cheaper with the use of wireless systems, due to several factors. First, due to the flexibility offered by plug n ‘play home automation switches. The system user can eliminate costs with regards to the structure of the home. Second, by the ability to manage energy in devices and equipment. The best solutions enable you to manage a device’s battery status and adjust scenes that switch off the whole system (master off). When defining what system to use in your design, you need to look at how “connectable” it really is. This will be decisive in the home theater installation project, because it will define the variety of equipment that will be compatible to the home automation system. Therefore, pay attention to the automation protocols provided by the manufacturer! Not always will the system with the most protocols be the best. In countries with more consolidated markets – automation is centralized in the use of hubs and gateways – this is essential. Manufacturers prefer to invest in branded ecosystems, developing solutions compatible with various products. In addition, there is a vast sector of smaller companies and startups that develop equipment that complement the “big brands”. · User interest in energy efficiency. Finally, another decision factor in choosing between closed or open protocol solution will be the support and cost of maintaining devices. Developing applications for audio and video automation is critical to the success of the installation. Along with infrared technology, this process centralizes equipment control and reduces the need for multiple remote controls for appliances, air conditioning and lighting. Remember: the user is also at the center of the home automation project. The development of smart interfaces needs to consider the profile of the people who will use the automated system. Each individual will have personal priorities and difficulties, which will determine what resources to use. On the other hand, certain users need a focus on accessibility. Not all projects need to rely on traditional touchscreen devices (tablets and smartphones) anymore. Today, the use of voice assistants allows full user autonomy. 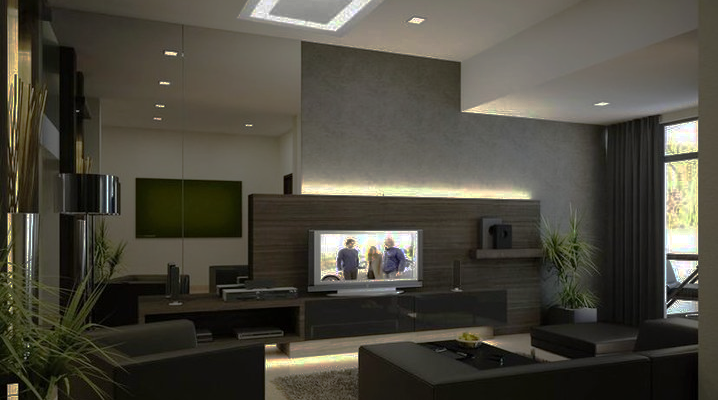 For audio and video automation, speakers are excellent interfaces for command interaction in multi-room installations. Simply direct the order to the personal assistant of the device and control the home appliances together or individually. 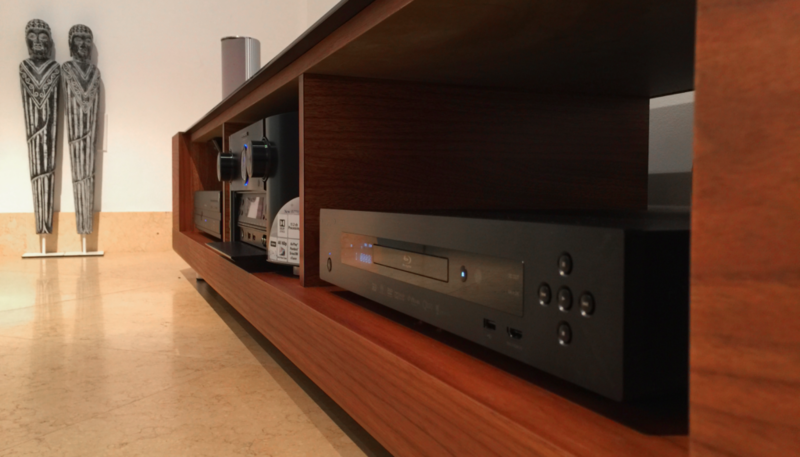 The installation of audio and video automation in homes will be a growing service for integrators in the coming years. Once limited to simple commands by smartphones, now we can insert them in a broader context, thanks to the concept of integration. Audio and video entertainment subsystems are just one of the cornerstones of automation. Through the control of scenes, the whole environment of the house – including lighting and air conditioning – can be configured for user use. However, market consolidation will come with the production of truly intelligent and easy-to-use systems. It will be of no use to the integrator to attach to monolithic systems, inmates to products of the same brand and contrary to future expansions. Only flexible systems that promote energy efficiency and customer control will have convincing conditions in this scenario. Neocontrol develops systems that perfectly fit the capacity of intelligent residential integration. Our systems work with the five pillars of automation (lighting, air conditioning, security, curtain motors and audio and video). In addition, our products use Radio Technology Neocontrol (RTN) and Somfy (RTS) , the world leader in tubular motors. This way, the integrator has the option of customizing projects of any complexity, offering greater connectivity and saving expenses to the consumer.